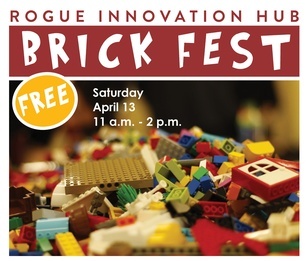 To promote the upcoming Rogue Innovation Hub, Rogue Community College invites the public to a free hands-on, minds-on Lego building event. The 3-hour workshop will be facilitated by Rebel Bricks owner Misti Dawn King, self-proclaimed Executive Director of Craftiness, Party Specialist, and Professional Fun Haver. This fun event filled with thousands of Lego bricks encourages innovative thinking and creative building skills. 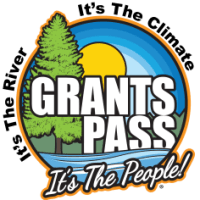 The event is free to the public and open to all ages. Children under 12 must be accompanied by an adult. Visitors can also enjoy tours of the Rogue Innovation Hub information center. For information contact RCC Community Education at 541-956-7303 or email communityeducation@roguecc.edu.